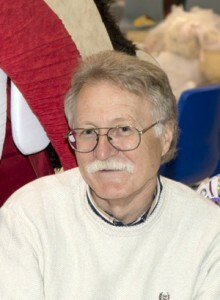 Dr. B is a graduate of the University of Toronto and is in his 36th year of practising dentistry in Ridgeway, Ontario. He knew from a very early age that he wanted to be a dentist. Upon graduating he returned to his home town and set up his family practice. 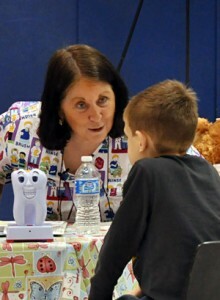 Dr. B enjoys answering all the children’s questions and is our resident expert on Dental Health. Together Dr. B and Miss Laura create and build all the props for DFTBYT. He is the packing genius that makes sure they all fit back into our 14 foot DFTBYT trailer and are ready for our next presentation. Miss Laura is our creator, artistic director, program coordinator and presenter. She has a vivid imagination and has the great ability to communicate with children. Laura is an avid cook, painter, quilter, decorator and writer. Her background is in manufacturing, sales and marketing. Laura’s passion for children’s dental health education has come from working chairside with Dr. B. She saw the great need first hand and has witnessed children’s suffering caused by both poor oral hygiene and poor diets. She has envisioned and created a new and exciting way to educate children about dental health and hygiene. Her personal goal is to enrich the dental health knowledge of as many children as possible, and help change the oral health future of these children. 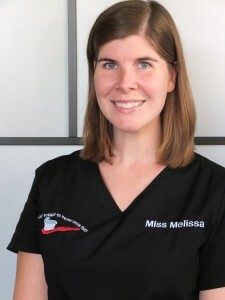 Miss Melissa is in her 10th year of practising dental health and hygiene. She is an advocate for the need of children’s dental education and is an amazing educator. Her gentle and loving personality is always evident when dealing with little ones either in our practice or on the road at our live programs. Miss Melissa enjoys camping with her husband Michael and her wonderful little dog Ferguson. Miss Melissa spends countless hours packing thousands of Hygiene kits for the schools we attend. Each kit contains a toothbrush, toothpaste, floss, a 2 minute brushing timer and hygiene information. We thank her greatly for her time and for her passion to make the difference in dental education. Lyle brings an impressive amount of technical expertise to the team. Professionally, he works in web and IT. Prior to that Lyle worked as an engineering consultant. During that time, he had the opportunity to work in a variety of industries, including automotive, food and beverage, steel and solar. 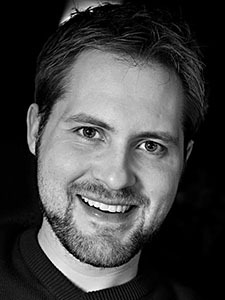 Lyle holds an honours bachelor of science degree in mechatronics engineering from the University of Waterloo and an MBA from Wilfrid Laurier University. Lyle has an ability for extreme detail and has a wonderful imagination. Together with his mother (Miss Laura) they are creating new and exciting DFTBYT materials. Lyle created our website and special sound effects used in our live program. He is a skilled photographer, enjoys 3D printing as well as anything else his engineering mind finds interesting. His business skills are a true asset going forward in the development of DFTBYT. Born and raised in Niagara, Ron graduated from Sheridan College and then went on to the Ontario College of Art (OCAD). Ron made his home in Toronto and started freelancing in 1979. 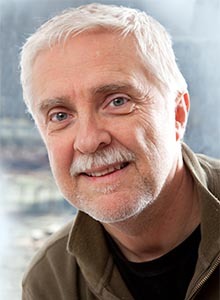 He has created illustrations and art for many publishers including Scholastic Canada, Scholastic USA, McGraw-Hill USA, Nelson Canada, Harper Collins USA, Harcourt USA, Houghton Mifflin, Scott Foresman USA, Chickadee Magazine, Toronto Star, Globe & Mail and Harlequin. Ron has also created for major corporations Hasbro USA, Fisher Price USA, Nestle, Dare, John Deere USA, Barbara’s Bakery USA, Effem Foods, Dole, S.C. Johnson USA, Cost Plus World Market USA, Fidelity USA, Canada Life, Bick’s Pickles, Sobeys, Metro, Wal-Mart, Sony, King Oscar (Norway), Del Monte, and Purina Canada.